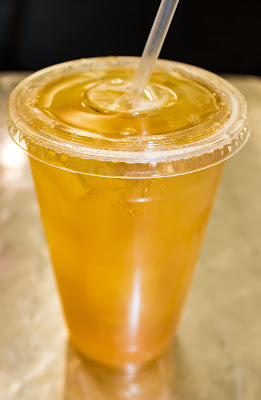 Other posts related to the Hai Street Kitchen empire of restaurants include: Hai Street Kitchen, Wok Street, and Ai Ramen. 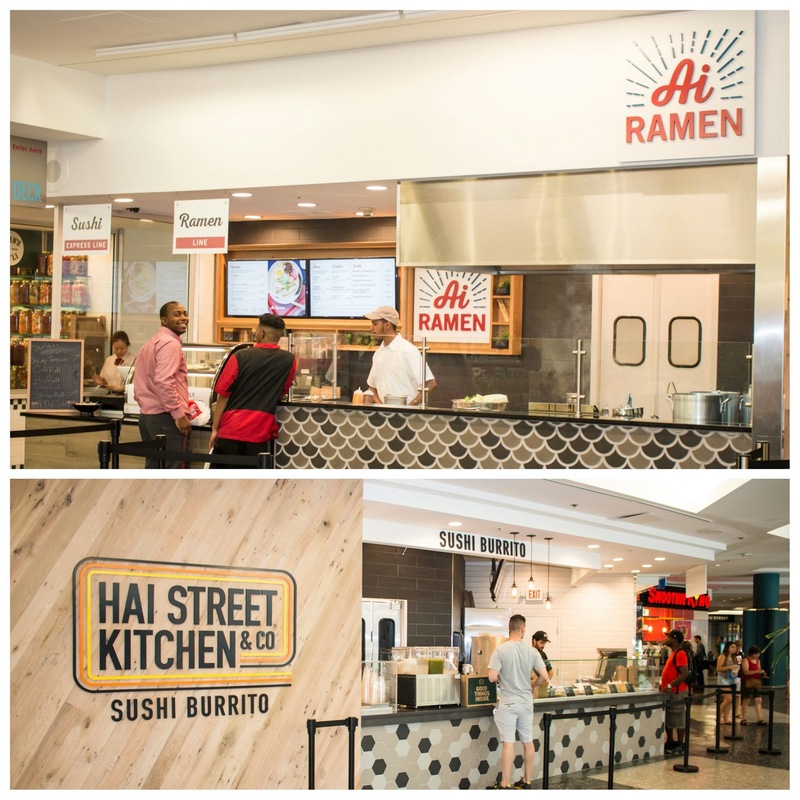 If you've been keeping abreast of Philly's fast casual food movement, you know Hai Street has been expanding their Asian empire beyond just the sushiritos. A few months back, we had Wok Street starting to offer stir-fried rice and noodles. Now, we've got stellar ramen, bao, and sushi in the Shops at Liberty Place - thanks to Ai Ramen! 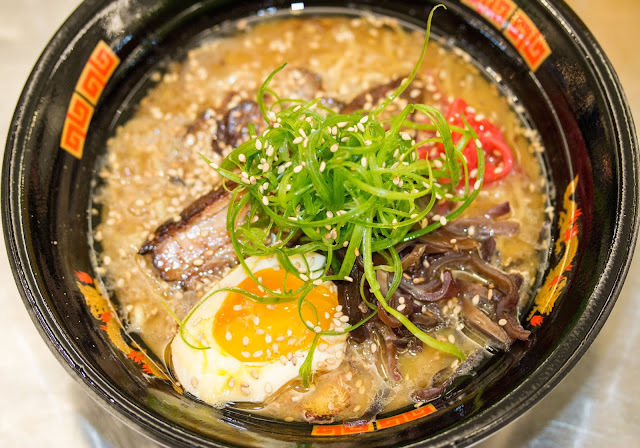 You might think a ramen spot in the middle of a shopping mall is a bit funky, but it's oh so right. Especially during the summer, you might not think hot ramen broth makes much sense. But in the cool, air-conditioned food court of the Shops at Liberty Place, the ramen at Ai ("love" in Japanese) is easily enjoyed. They've also got a variety of sushi and bao buns for carryout if you're on the go! Cool yourself off with some Oolong tea. The bitterness of the Oolong contrasted nicely with the light, sweetness of the pomegranate. A nice refreshing treat for the summer's heat. Ai's chasu is perfectly tender, yet well-roasted on the exterior. In place of the standardly seen pickled carrots and veggies, I enjoyed the bite of the scallions. These were a nice foil to the heft of the pork and the sweetness of the teriyaki. 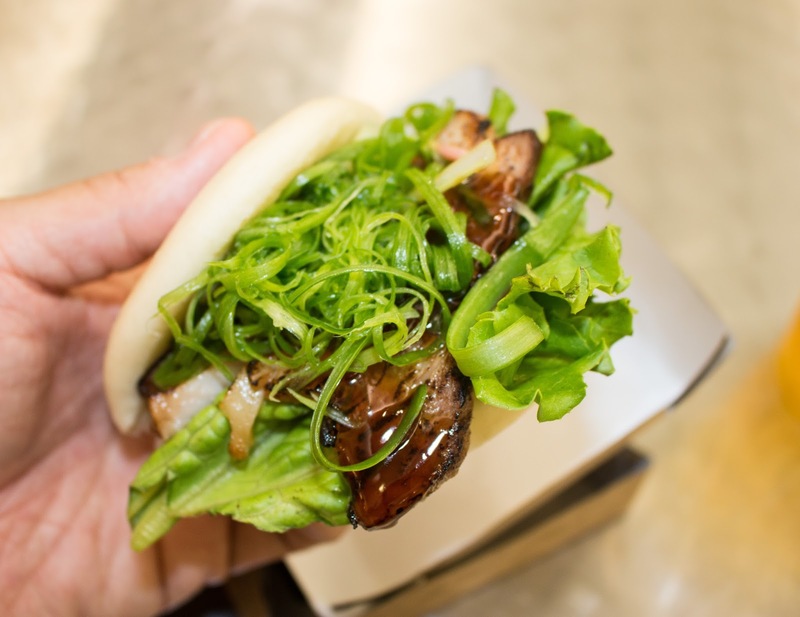 All housed within a nicely steamed and subtly sweet bao bun, I could have eaten half a dozen of these bad-bao boys. But really, I was here for the ramen. Noodles are supplied from Sun Noodle Company, so you know they're on point. Perfectly springy and wonderfully textured, these aren't the ramen noodles from college, people. Even better? That broth though! Chicken and pork bones clearly put in work for hours to create an amazing stock, which was nicely balanced by the sweet funk of the black garlic mayu. Nicely roasted slices of chasu pork and black mushrooms provided savoriness, with the lime pepper, scallions, and red ginger supplying a countervailing contrast to each bite. Poached egg? Don't mind if I do! Sesame seeds studded throughout to provide additional texture. So if you're looking to branch out beyond your typical pizzeria or sandwich shop during the workweek lunch, I'd highly recommend checking out Ai Ramen at Liberty Place. Philly doesn't have an abundance of Ramen spots to boast about, but it does have Ai Ramen!